The payments are an order of magnitude higher than other Con Edison demand response programs. In an effort to delay construction of a $1.2 billion substation, New York utility Consolidated Edison will offer nearly $1,000 per kilowatt per year for assets used to shed electrical load in Queens and Brooklyn. The auction for Con Edison’s Brooklyn Queens Demand Management project ran in late July to provide relief for the 2017 and 2018 summer seasons. The demand response program will shed a total of 22 megawatts from 4 p.m. to 12 a.m. for the next couple of summer seasons. The auction is a crucial part of the BQDM project, which will shed approximately 52 megawatts of load from target areas using a combination of traditional utility investments and customer-side load management programs. The project is the largest modern non-wires alternatives undertaking in the nation, leveraging everything from more efficient LEDs to combined-heat-and-power to behind-the-meter batteries. Unlike California’s Demand Response Auction Mechanism (DRAM), the Con Edison program is targeted for a single purpose: to delay the construction of a very expensive substation. Con Edison needs relief in certain areas from about noon to midnight. But the biggest need is at night, when the system peaks around 9 p.m. to 10 p.m.
To meet the varying need, the auction had two time frames -- 4 p.m. to 8 p.m. and 8 p.m. to 12 a.m. The auction started with ceiling prices for roughly a dozen bidders, who then offered lower prices. Each bid had to be lower than a previous bid. 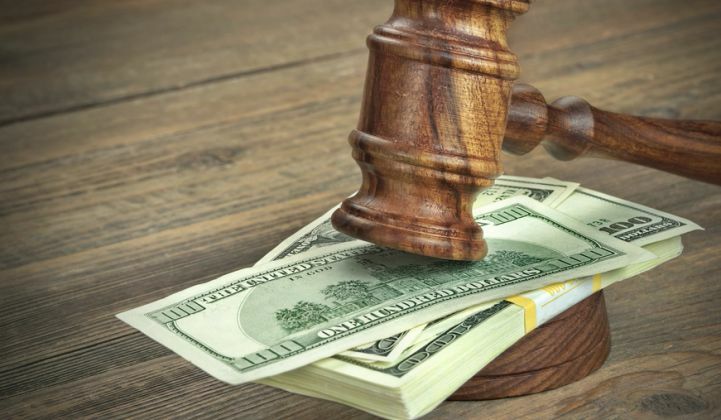 Once the auction was over, however, every winner was awarded the higher clearing price, even if the demand response provider had put in a lower bid. For 2017, the prices for the two time increments had ceilings of $250 per kilowatt-year and $1,250 per kilowatt-year. In 2018, the ceilings were $750 per kilowatt-year and $1,250 per kilowatt-year. The clearing price for both years during the evening period were similar -- about $985, according to Con Edison. There were 10 winners in total, although Con Edison has not yet released the names of the companies. Four were already working with Con Edison in other demand response programs, but six bidders were new to the process. They were a mix of traditional demand response providers and new entrants, such as behind-the-meter battery companies. There is also a separate payment of $5 per kilowatt-hour of reduction for each event. Participants that offer 100 percent of pledged load can also earn up to a 20 percent bonus on the reservation payment. Those that offer less than 85 percent of pledged load will face a penalty. About three-quarters of the 22 megawatts of pledged load will be offered during the evening timeframe, when need is greater and prices are higher. The payments are far above the prices offered for the utility’s commercial system relief program, which come in at $18 per kilowatt per-month. That program is ongoing in other parts of Con Edison’s territory, but has been discontinued through 2018 in the areas encompassed by BQDM. Aggregators still have the option of participating in Con Edison’s other demand response program, although BQDM must be prioritized first. They can also participate in the wholesale demand response program at the state level. There will be more opportunities for vendors outside the auction. Con Edison has spent about $24 million of a total $200 million on BQDM load relief programs so far, according to its 2016 Q1 report. The investment has already delivered more than 9 megawatts of load relief, primarily from energy-efficiency upgrades in more than 7,500 apartments and more than 4,000 small businesses. Many of those upgrades were a switch to LEDs. There will also be an additional incentive for bring-your-own-thermostat programs (although many New York apartments do not have central air, so it may not deliver much capacity). The utility will offer window AC upgrades to residents living in certain public housing units. There are discussions on incentives to upgrade commercial refrigeration units as well. 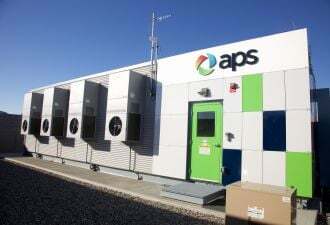 Finally, Con Edison is investing in fuel cells and combined-heat and power for longer-duration load relief. BQDM is a very specifically focused project, but it has broad implications for the industry. Other New York utilities, which are also required to invest in more non-wires alternatives to meet changing demand, are certainly watching -- as are other utilities across the nation that are increasingly looking to leverage grid-edge resources for the benefit of the utility’s entire system. To learn more about how New York utilities are leveraging grid-edge resources, join GTM at its New York REV Future 2016 conference. Building on last year’s sold-out conference, New York REV Future 2016 will bring together key stakeholders, technology providers, utilities and state policymakers to discuss actionable business strategies to operationalize the ongoing initiative for a clean, resilient and affordable system in New York. Register today and join the conversation.